& PRE-EARLY BIRD TICKETS ARE FLYING OUT THE DOOR! Did you drink one of the 19,000+ coffees consumed during the festival? Or contributed to the record breaking $120,000 raised by our charity stalls? If you attended our recent 24th Bluesfest you can count yourself amongst the thousands of avid music lovers who participated in a 5 day fiesta of handclapping, feet tapping and sing-alongs that is Bluesfest. As we now gear up for our 25th Anniversary Festival: 17th -21st April 2014, we thought you might like to hear about some of the ingredients to the success of our recent Easter extravaganza but before we go there, let us give you a quick update on 2014 Bluesfest Ticket sales:. Our 25th Anniversary is going to be a very special Bluesfest and pre-early bird tickets are flying out the door! Our quota of pre-early bird tickets is near sell-out and a ticket price increase is imminent. Make sure you take advantage of these great prices as they won't be around for much longer! 5 DAY ADULT PRE-EARLY BIRD FESTIVAL: $355 ONLY SAVE $240 OFF FULL PRICE! 5 DAY CHILD PRE-EARLY BIRD FESTIVAL*: $90 ONLY SAVE $50 OFF FULL PRICE! BUDDY PACK**: $1170 ONLY SAVE $520 OFF FULL PRICE! Please note: All other ticket types, ie. 3 day tickets will go on sale soon. Single day tickets will go on sale with 1st artist announcement. • 1127 room nights were booked by Bluesfest for its Artists performing at the Festival and another 1925 room nights for Bluesfest's touring Artists around Australia. Wow! • 4000 tickets were sold for Bluesfest 2014 during the festival and another 2000 tickets have been sold since, making Bluesfest 2014 1/3 sold out ALREADY! • 51 Market Stalls to browse and 43 Food Stalls to delight the palate of patrons were set up at Bluesfest. • 6421 Meals were served to Artists and Crew including many Vegetarians, Vegans and Pescetarians. 4000 coffees were served to crew alone. • Out of the 80+ entrants, the busking comp was won by Tasmania's Claire Anne Taylor, who to the amazement of the judges and adoring audience is used to playing to campfires, not crowds. The Grommet division was won by 14 year old Maclean boys, Nick & Sam. • Boomerang Festival was launched at Bluesfest. • Boomerang will be held at Bluesfest's home, the Tyagarah Tea Tree Farm from 4th to 6th October 2013. The festival was officially launched at Bluesfest and Boomerang Director and Curator Rhoda Roberts was present. • The Hon Tony Burke; Minister for Arts and Environment, Federal MPs; Simon Crean, Justine Elliot & Janelle Saffin, Don Page; Local MP, Andrew McEvoy; Managing Director of Tourism Australia, Byron Shire Council Major Simon Richardson as well as Byron Shire Councillors Diane Woods, Paul Spooner, Sol Ibrahim, Alan Hunter and Journalists/Broadcasters George Negus and Kerry O'Brien. • Cystic Fibrosis raised $50,000+ this year - bringing the total raised at Bluesfest to date $315,000. 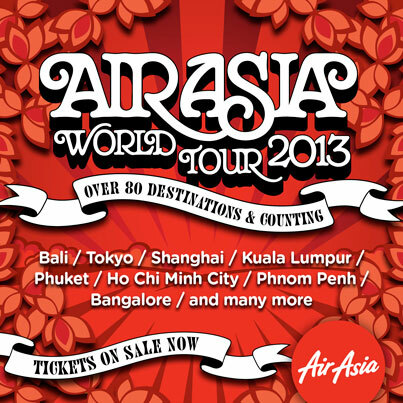 You've got your early-bird tickets for Bluesfest 2014, why not lock in an Earlybird holiday in 2014 with AirAsia! They have a massive sale on right now to over 80 amazing destinations throughout Asia and have been voted 4 times world's best low-cost airline. Book now at airasia.com and sign up as a member to never miss a sale. AirAsia. Now everyone can fly. 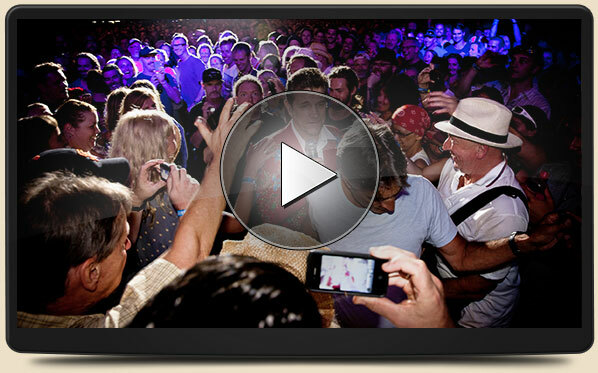 A quick peek at the Byron Bay Bluesfest 2013. Get inspired for our 25th anniversary!